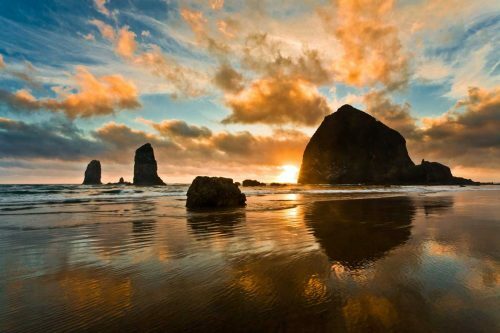 Oregon is one of our favorite US states to visit. The combination of a gorgeous coastline, mountains, forests and deserts is hard to beat. Throw in the cultural urban center and the state becomes the perfect destination for travelers. With 363 miles of coastline to explore, it’s no surprise that the Oregon coast tops my list for places you must visit in this beautiful state. The best part is that the whole shore is open to the public and free to visit thanks to state laws. Our family loved our time along the Oregon coast! One thing to keep in mind when visiting this region is it’s not like California beaches. Even in the summer, the temperature rarely reaches above 70 degrees Fahrenheit, so you’re far more likely to don a sweater than a swimsuit. 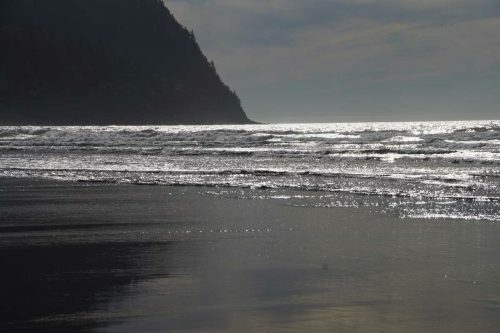 But, don’t let that keep you from the Oregon coast, because there are still plenty of things you can do all year long. What you can do along the Oregon coast varies greatly depending on where you are. 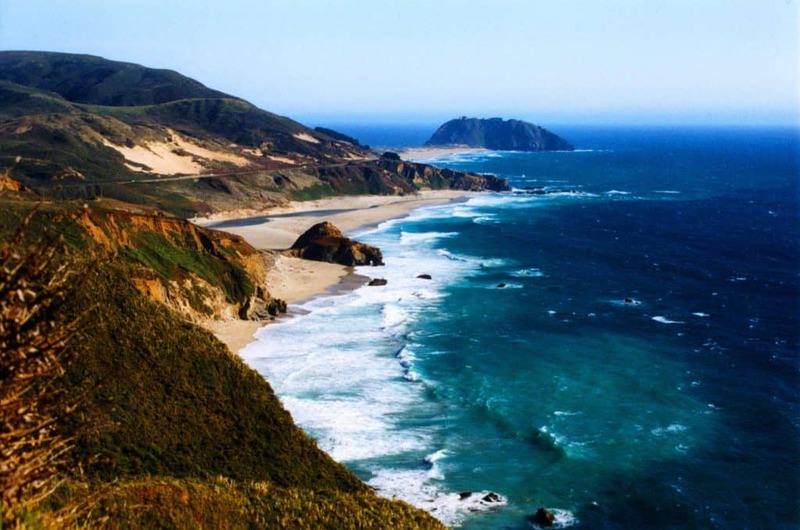 If you want the grand tour of the entire coast, you’ll want to catch Highway 101 at either end of the state. But, if you want to pick a few places to get to know better, here are a few of our favorites. Depending on where you stay and the time of year, you may also take part in local festivals and fairs. 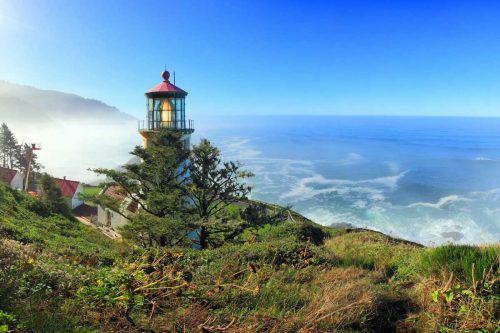 There are so many options along the Oregon coast that it was hard to narrow them down, but here are a few worth checking out. 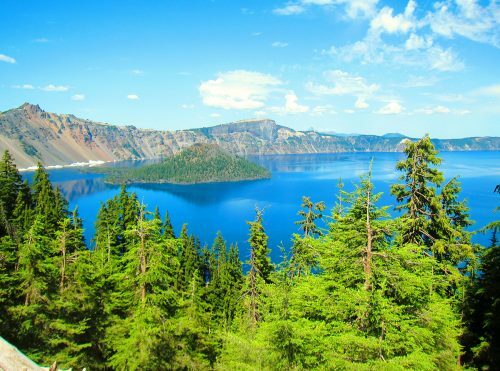 If you want to take an unforgettable road trip to an area steeped in mystery and beauty, Crater Lake is the place to go. As you might have guessed by its name, this lake is in a crater which was formed after a volcanic eruption hundreds of years ago. Crater lake is the deepest lake in the United States, and also one of the most pristine as the water comes from rain and melted snow that have become trapped at the top of the mountain. It’s also the source of many dark Native American legends, UFO sightings, and supposed Big Foot activity. If you have a National Parks Pass, however, it’s free to get in! This is a great investment if you’re planning on visiting a number of national parks during the year as it’s only $80 to visit over 2,000 sites across the United States. Most people visit Crater Lake just to see the lake, so there aren’t too many things to do here. Even so, I’ve gathered a list of options for those who want to spend some more time here. You may also want to check out Crater Lake Park. There, you can find activities led by park rangers, whether it’s listening to a short talk about the area or going on an afternoon hike. Need more information? Check out my guide for a Crater Lake road trip! Unfortunately, there aren’t many places to stay around Crater Lake since so many people make it a day trip in their itinerary. However, if you do want to spend more time there, here are three options for spending the night near this location. 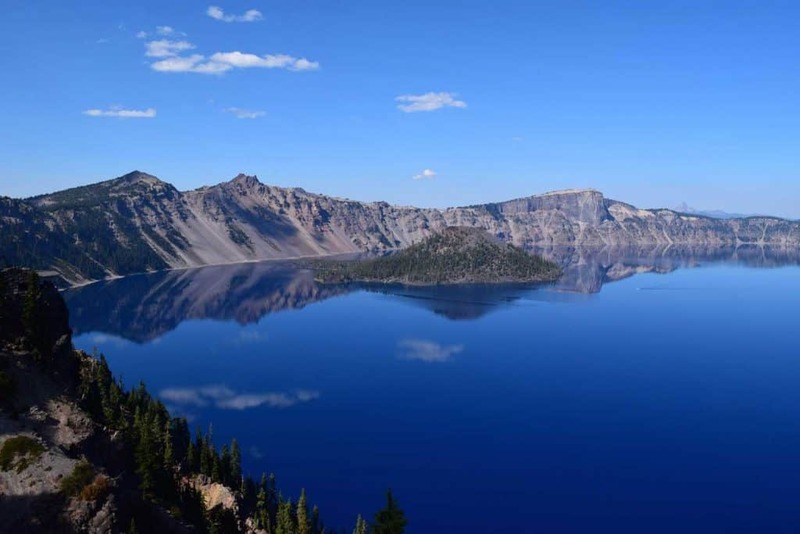 For more information about Crater Lake, some road trip ideas, and more things to do, you can check out this post. Although not technically in Oregon, Mt. 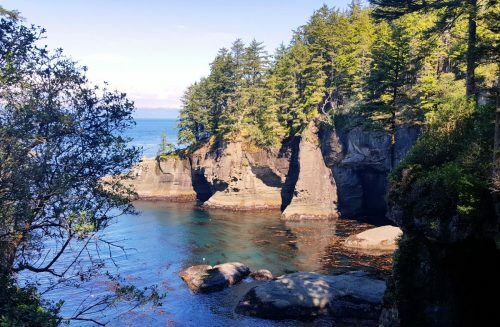 St. Helen’s is a little more than an hour from Portland and certainly worth the trip. This active volcano is currently dormant, but you should always check on conditions before visiting just to be safe. Mt. St. Helen’s is famous for having erupted in 1980 following two earthquakes. Ash from the eruption was scattered across 11 U.S. states, including much of Oregon. Once the site of the most destructive volcanic eruption in U.S. history, you can now visit Gifford Pinchot National Forest to visit it. The cost to visit the Johnston Ridge Observatory to see Mt. St. Helen’s is $8 per person over the age of 16. Inside, you can find some incredible photographs and other information that shows how big of an impact the eruption had. In addition to seeing the volcano itself, here are a few other things visitors can do while visiting this infamous landmark. 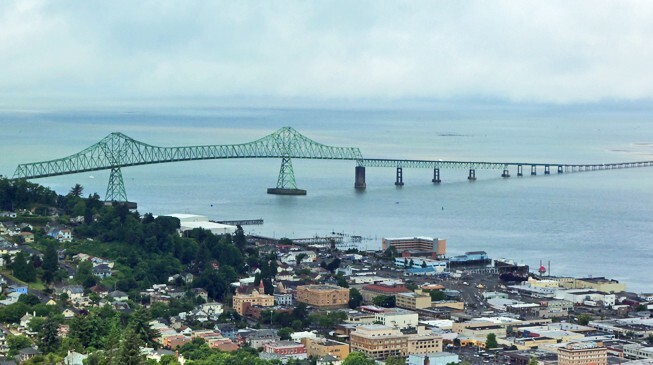 Right on the Colombia River and Pacific Ocean, Astoria is one of Oregon’s coastal towns that deserves its own spot on our list. Originally a trade center for the entire Colombia basin, Astoria remains a busy hub of activity that also makes a great vacation spot. One of the things that makes this town a must-see item on your Oregon bucket list is the hill that you can hike up which provides breath-taking views of the ocean and entire region. 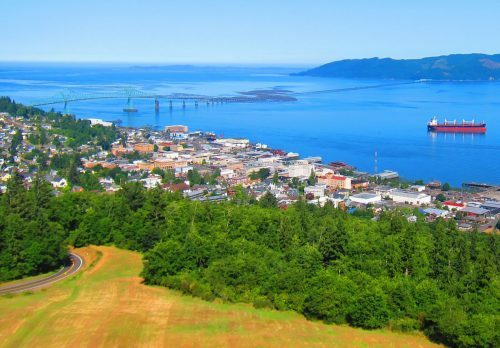 Once there, you can also take in the Astoria Column, a hand-painted, 600-foot column that depicts the town’s history. Stroll along the Riverfront. It’s a wonderful stroll and you can actually hear the sea lions under the deck! On weekends, you can take the Riverfront Trolley tour too. 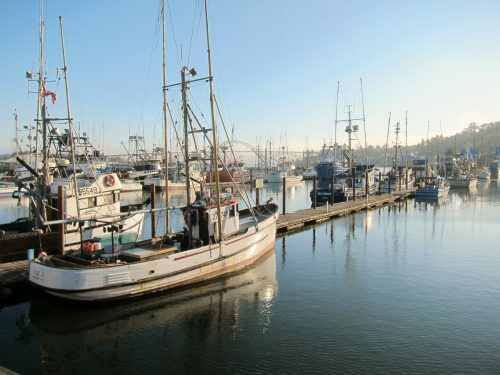 Visit the Columbia River Maritime Museum. We had a great time there. Fascinating place! Check out the Oregon Film Museum. Movie buffs can also tour locations from the filming of the Goonies. Go to the Lewis and Clark National Historical Park. We were going to but missed it but I’m sure we’ll be back again someday to check it out! 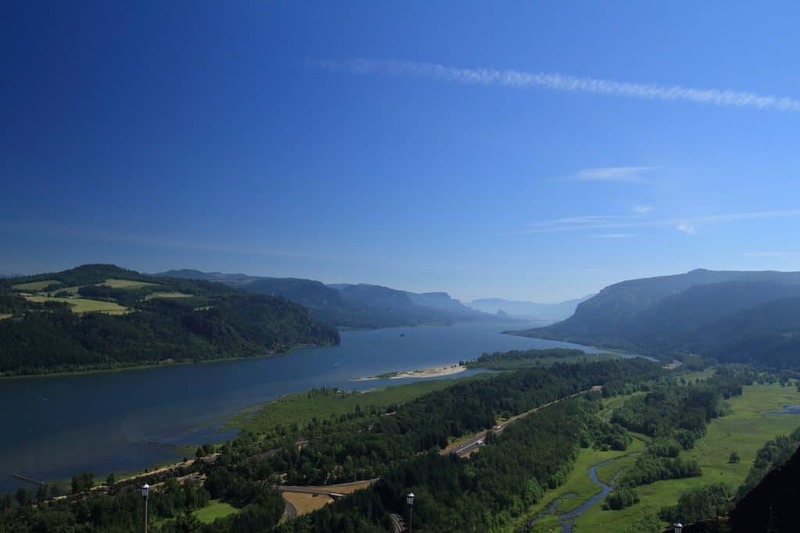 You can find the Columbia River Gorge just 30 minutes west of Portland. 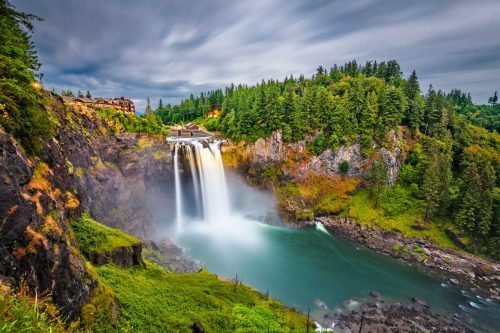 It’s considered one of the most scenic stretches in Oregon, so don’t miss your opportunity to see the natural beauty that this state is overflowing with. Within the gorge, you’ll find several welcoming towns, including The Dalles, Hood River, and Troutdale. Stop into any one of them for local charm and to participate in some of the many activities you can enjoy in this region. 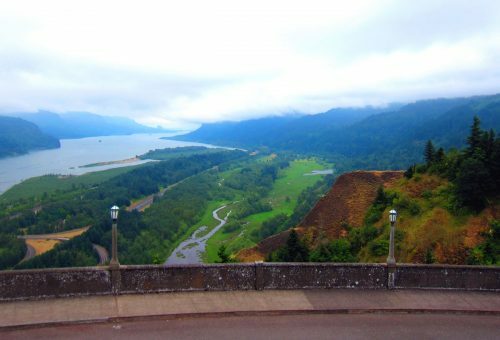 Click here for my detailed guide on taking a day trip from Portland to visit the Columbia Gorge. Be sure to look into these for more information about entrance fees and seasonal schedules. We’re going to break down these places to stay based on the three main towns that can be found in the Colombia Gorge, so you can narrow down the best place to stay based on which is closest to the activities you want to do while visiting. And remember, it’s a great day trip out of Portland too! 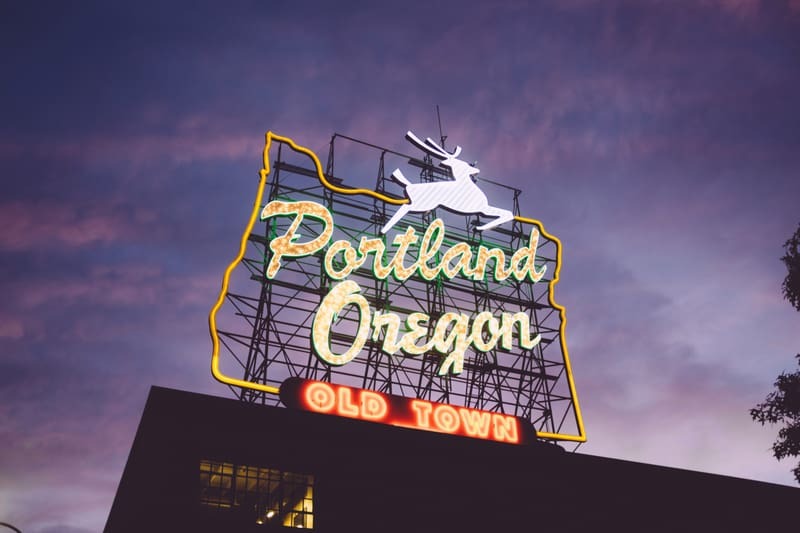 “Keep Portland Weird” is the slogan of Oregon’s largest city (if you’ve ever watched an episode of Grimm, you should be able to relate to that!). You don’t have to spend much time there to get a taste of the weirdness, but we recommend staying for at least a few days to really experience everything they have to offer. 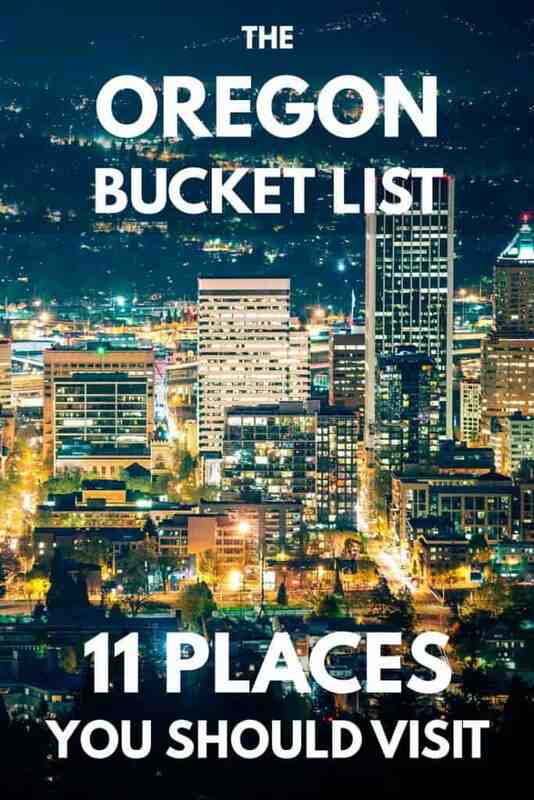 Portland also works great as a home base for some of the other items on the bucket list, including the Columbia River Gorge and Mt. St. Helen’s. So, if you want to take some day trips and have a fun scene to go back to at night, Portland is the way to go. Based on the size of this city alone, there are literally thousands of things you can find to do throughout the city. We’re making a list of just a few of our favorites and things we wished we’d been able to do more of. There’ plenty more! You may also want to check out my picture-post on the Japanese Garden in Portland. Also, see this list of Portland museums which I think are well worth a visit. It would be difficult to not find the perfect place to stay in Portland, Oregon since there are plenty of options available. You can easily choose based on your personal preferences and budget. After visiting Bend, it’s easy to see why it’s called the outdoor playground of the West. 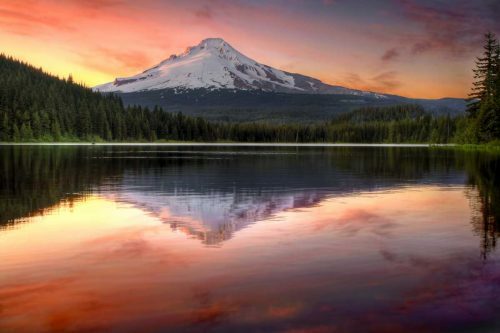 Located in Central Oregon, it’s surrounded by mountains, volcanoes, rivers, and a wide variety of wildlife. Even so, within Bend, there’s a thriving nightlife and all the amenities you could want. What we liked best about Bend is that there’s truly something for everyone. There are extreme sports and mountain hikes for the adventurous, art walks and museums for families, and everything in between. It’s not something you want to miss on your trip to Oregon. It was hard to pick the best things to do while visiting Bend, but I did my best. Hopefully, this brief list gives you an idea of everything this town has to offer. 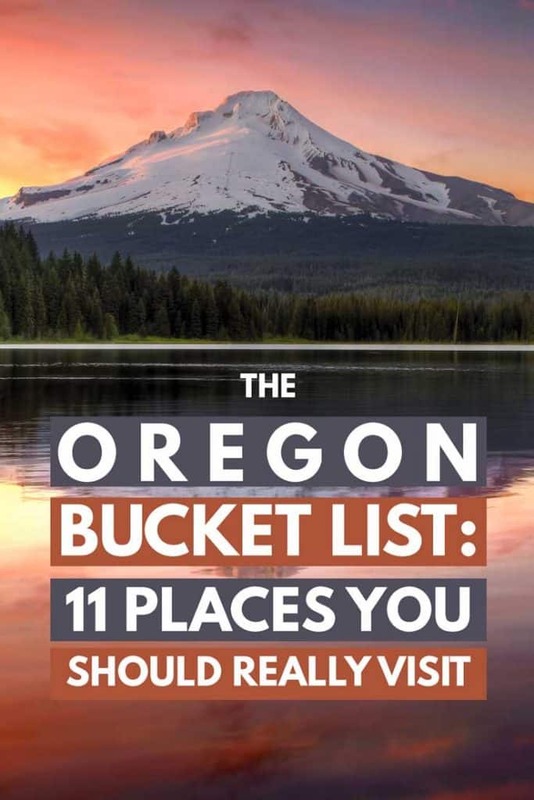 You can also make several day trips from Bend to other items on my Oregon bucket list, including Crater Lake, Smith Rock State Park, and the Painted Hills. Check out my complete guide to things to do in Bend and the area. There are over 50 hotels to choose from within Bend, but one place is my own personal favorite though. It’s also the cheapest motel we ever stayed at in the US – and it was still fantastic! The shape of Mt. 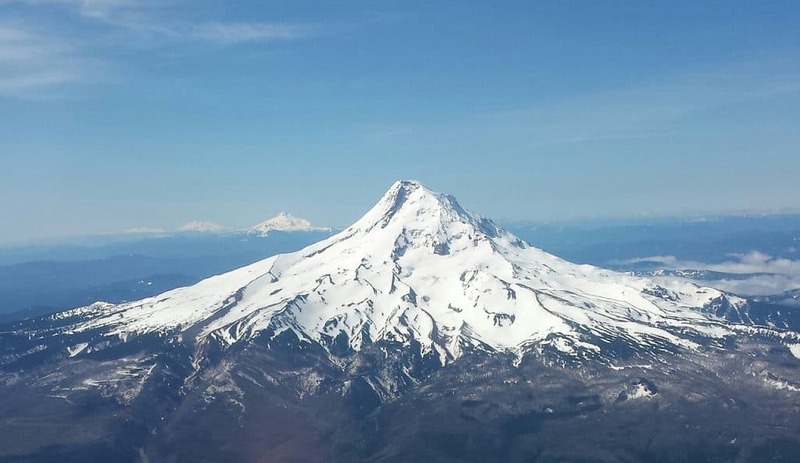 Hood is probably what you picture when you think of Oregon in general, so it should be no surprise that this famous landmark made our Oregon bucket list. 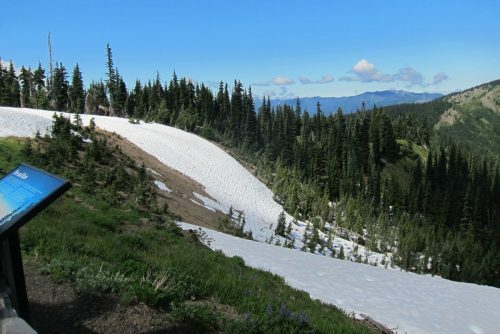 It’s home to the only year-round ski resort in the United States and capped with 11 glaciers. Rising 11,249 feet (3,429 meters) above sea level, Mt. Hood is considered a dormant volcano even though it last erupted just over 100 years ago in 1907. It’s also the second most hiked mountain in the entire world! What we did in our day in Mt. Hood was to hike Trillium Lake (gorgeous views of the mountain!) and then drive up to the summit. We stayed at one of the lodges in Government Camp (a small settlement on the mountain) and my husband and brother-in-law hiked further up the mountain the following morning. The best place to stay to explore the mountain is Government Camp. It’s a ski location during winter and was busy enough when we got there in summer time. Just visit Booking.com and search for your dates and Government Camp, Oregon. 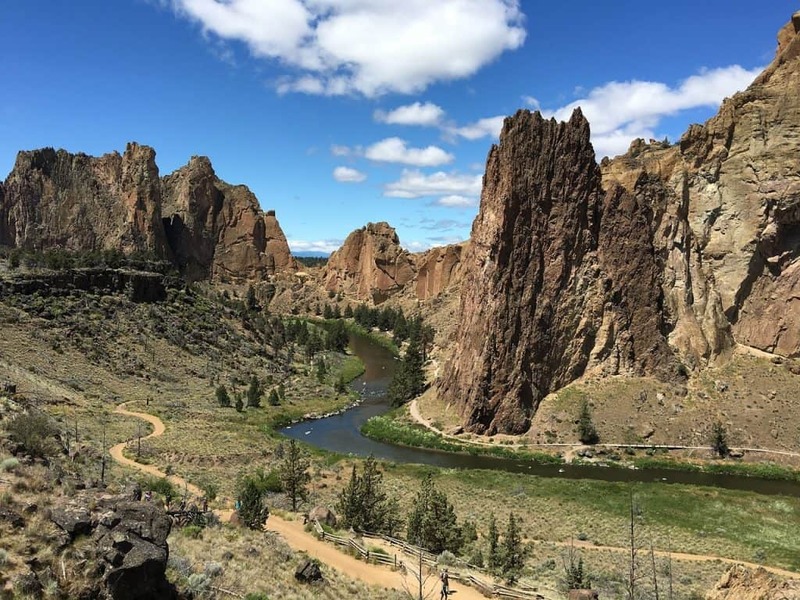 With literally thousands of climbs throughout the park, there’s no shortage of avid rock climbers who frequent Smith Rock State Park. But, with breath-taking sights and a myriad of wildlife to spot, there’s plenty for everyone here. Although nobody is sure how this rocky area got its name, one thing is certain: it’s a must-see for vacationers in Oregon. Because it’s only around half an hour outside of Bend, it’s a great place to day trip to when visiting Central Oregon. Day use parking is $5 per vehicle, but if you’re going as a hiking or biking group, it’s $8 per person. 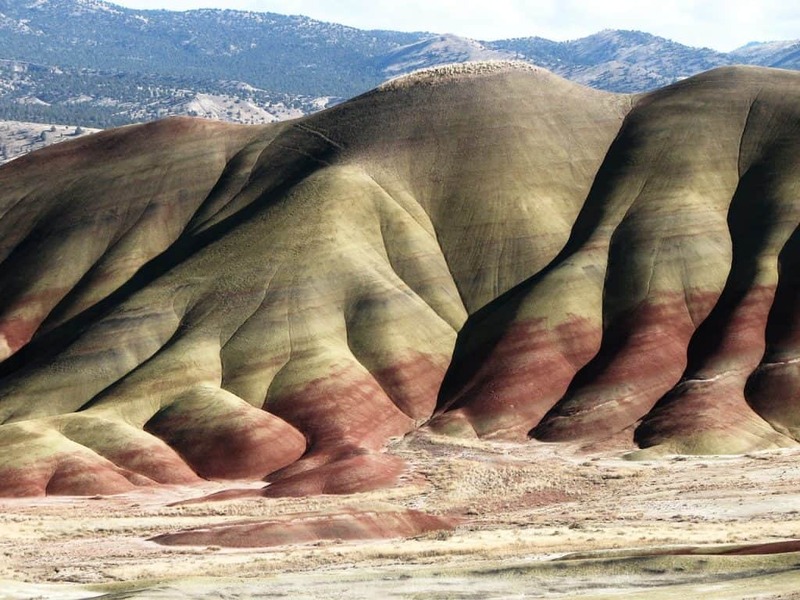 One of the “7 Wonders of Oregon,” it was easy to include the Painted Hills and the John Days Fossil Beds on our bucket list. The Painted Hills get their name from the brilliant yellow, black, gold, and red layers of rock that have formed there. It truly looks like these hills were painted with an unbelievably large paintbrush. They’re one of three areas that make up the John Day Fossil Beds. As you can imagine, the Fossil Beds are home to a wide variety of fossils. Paleontologists continue to study the fossils that have been dug up there, including ancient cousins of rhinos and elephants that once roamed the Americas. The Thomas Condon Paleontology Center is home to over 40,000 fossils in total. You can see them there and learn more about what life may have been like long ago. Entrance to the center as well as the rest of the areas around the Painted Hills are free. This is another place most people choose to take a day trip to, but you can certainly pick one of these places to stay near the Painted Hills and John Day Fossil Beds National Monument. 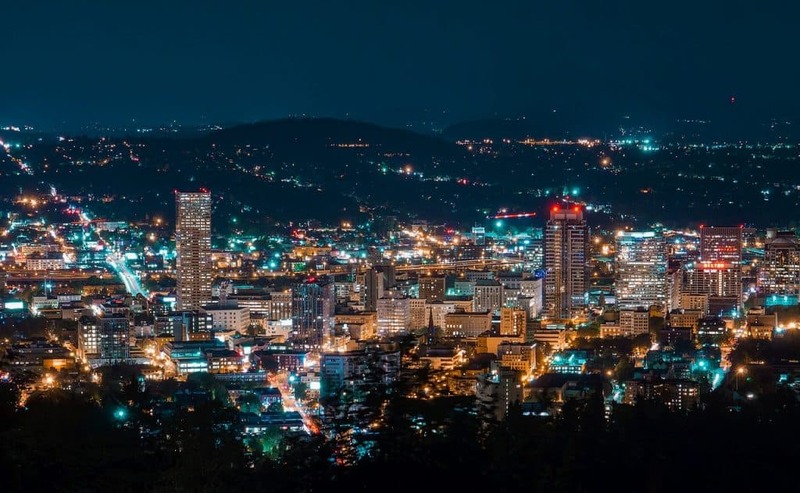 While not as weird as Portland, Oregon’s capital city still has plenty to offer visitors, and should not be missed when visiting this state. Nestled in one of the most fertile valleys in the United States, Salem is surrounded by fields and farms that bring their wares into the city. It’s easy to see why people love to live in and visit Salem. There’s plenty to do, and there’s always something delicious to sample, whether it’s a pie made from locally-grown berries, wine from local vineyards, or fresh produce right from the field. 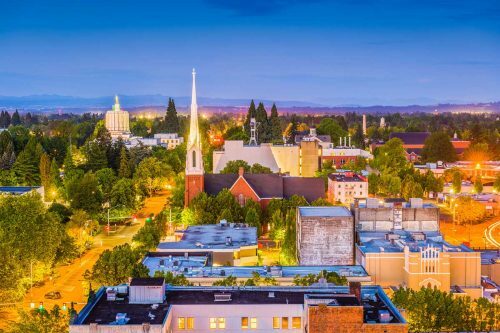 There’s no shortage of places to stay in Oregon’s capital city, so we just picked out a few for you to consider. You can easily find one that meets your needs and stays within your budget. This would be my Oregon Bucket List. We’ve visited most of the places in this list. Some more than once! There are a few that we missed, which is why this list comes handy for me as well! If you’ve visited Oregon and can offer more suggestions – let me know! 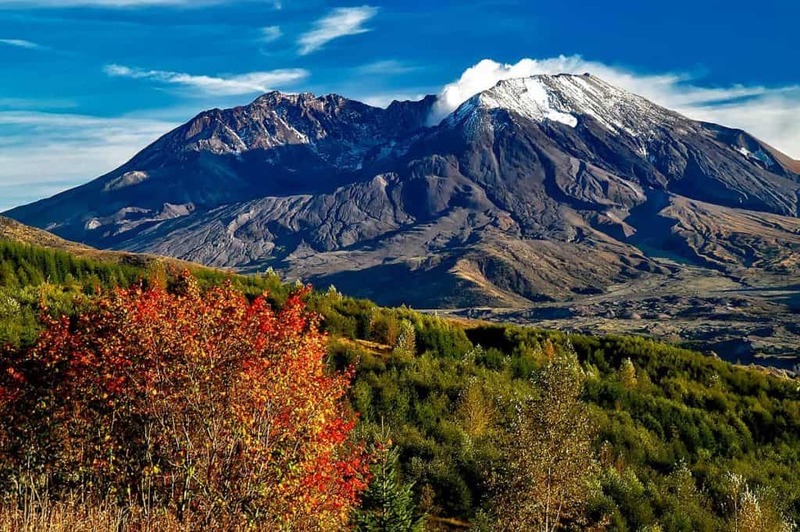 Beautifil as it is, Mount St. Helen’s is NOT in Oregon. You are totally right of course! Edit: I just checked and it says as much in the listing description. It’s not in Oregon but it is a nice easy day trip from Portland.